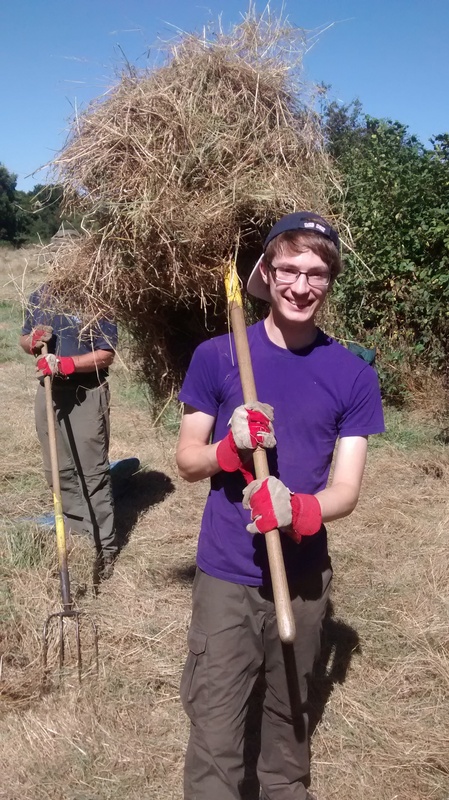 Today volunteers joined us to finish off three days of path & hay cutting at Moor Green Lakes & Manor Farm. It was also the last day for our student Matt who joined us this week from Farnborough 6th Form College. He has impressed all the staff with his enthusiasm and hard work, and we’re sad to see him leave. This entry was posted in Access, Moor Green Lakes, Volunteers and tagged Blackwater River, BV path, Moor Green Lakes, Student, Volunteers. Bookmark the permalink.